Located in Lake Charles, St. Margaret is near the heart of the diocese. Since 1940, we have helped our people grow in their relationship with Jesus Christ. St. Margaret of Scotland Catholic Church began as a small mission of what is now the Cathedral of the Immaculate Conception in downtown Lake Charles. The Most Reverend Jules Jeanmard, Bishop of Lafayette, established the parish in 1945 with a boundary that covered most of southern Lake Charles. In 1949, the Sisters Mariantes of the Holy Cross arrived as teachers and established St. Margaret School. Currently ministering to 1600 families, St. Margaret of Scotland Parish is one of the largest parishes in the Diocese of Lake Charles. Along with the staff of St. Margaret Catholic School, our parish consists of many dedicated volunteers who offer their time, talent, and treasure to form our vibrant community of faith. *Check the News section for any time and location changes. will return to the Holy Family Day Chapel . . .
Click here for details. . . . Please call the Pastoral Center (439-4585) to register. St. Charles Retreat Center is offering a number of upcoming retreats.
. . . to the Diocese of Lake Charles, St. Louis Catholic High, and more! Tell us which ministries you are interested in learning more about. We will contact you soon with your request. Under the present Principal Mrs. Wendy Wicke, St. Margaret Catholic School provides elementary education in an environment embracing Church, family, and community. 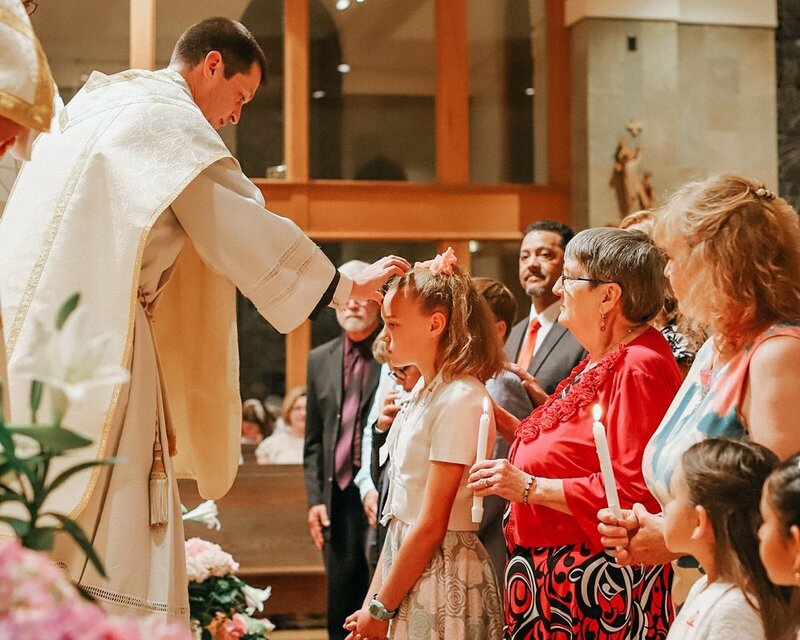 In the Catholic tradition, the school strives to help its students achieve spiritual growth and academic excellence. St. Margaret Catholic School is dedicated to the spiritual, physical, and academic development of children through programs emphasizing religious education, basic academic skills, art, computer, music, and physical education.